Early evaluations of Samsung's new Galaxy S9 and S9+ have ranked the S9 display and the S9+ camera above the iPhone X, but when it comes to performance, the iPhone X is still the clear winner. 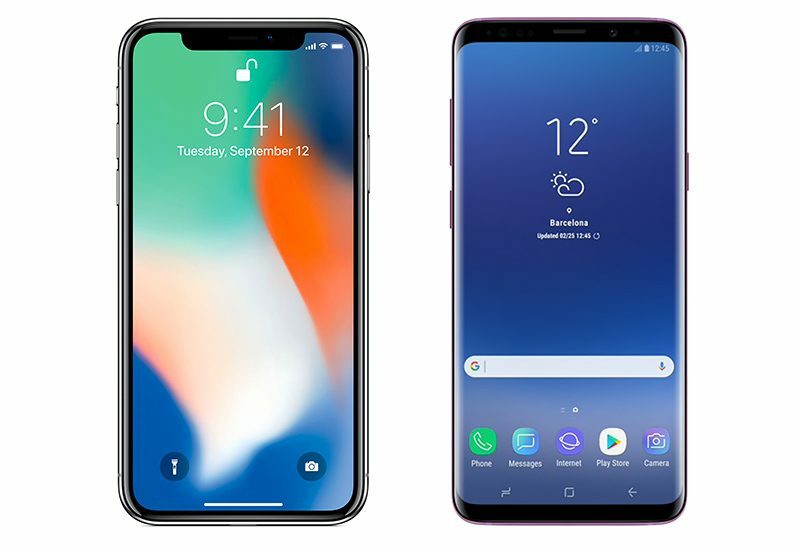 In benchmark testing of the Samsung Galaxy S9 equipped with an Exynos 9810 chip, the iPhone X, and the iPhone 7 conducted by AnandTech, the iPhone X's A11 chip won in every comparison test, and in most cases, the Galaxy S9 also lost out to the A10 included in the iPhone 7. Samsung is using two separate chips in its new Galaxy devices: the Exynos 9810 and the Snapdragon 845 from Qualcomm. The Exynos 9810 chip outperforms the Snapdragon 845, but doesn't quite match Apple's A11 Bionic chip. 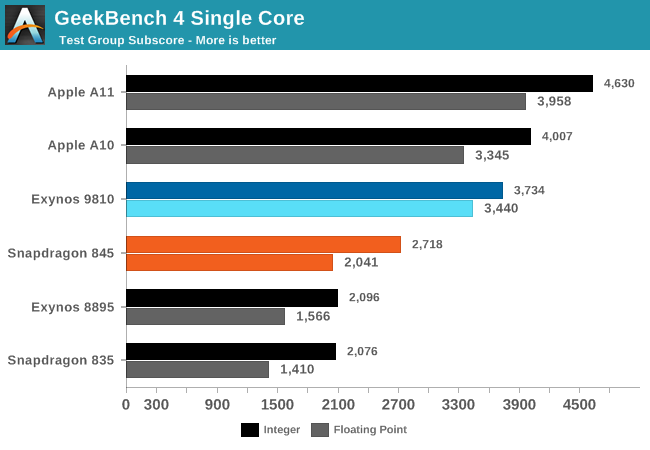 On a single-core GeekBench 4 test, for example, the Exynos 9810 saw integer and floating point scores of 3,724 and 3,440, respectively, well below the 4,630 and 3,958 scores earned by the A11 and under the 4,007 integer score earned by the A10. 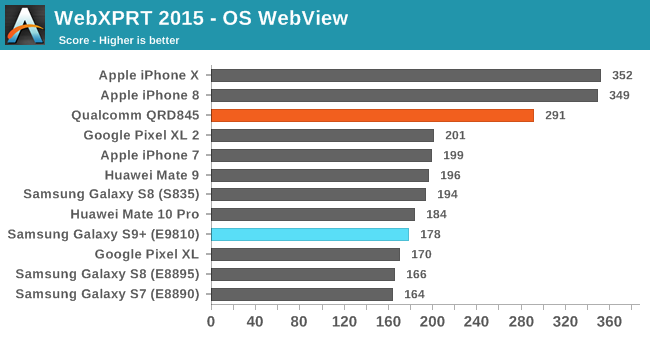 Simliar results were seen in a Speedometer 2.0 test, with the iPhone X (A11), iPhone 8 (A11), and iPhone 7 (A10) winning out over both of the processors used in Samsung's new devices. AnandTech was testing a demo version of the Exynos-based Galaxy S9 and came to the conclusion that there was something wrong with the device given its poor scores on the latter two tests compared to the Snapdragon 845, but even had the Exynos 9810 shown performance on par with the Qualcomm chip, Apple's iPhones still offer better performance. 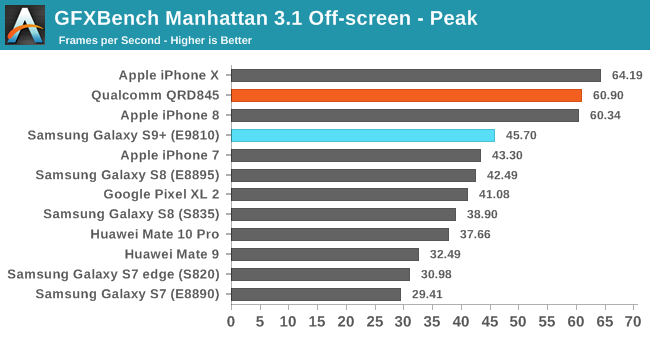 When it came to graphics performance, the iPhone X also came out on top, beating out both Samsung chip variants. Full benchmarks on the new Samsung devices and AnandTech's conclusions about the Exynos 8910 chip can be read over on the AnandTech site, but it's clear that Samsung is still unable to match the performance Apple can eke out of its chips by controlling both the software and the chip design. It's also worth noting that there's one other area where Samsung can't compete with Apple as of yet - facial recognition. 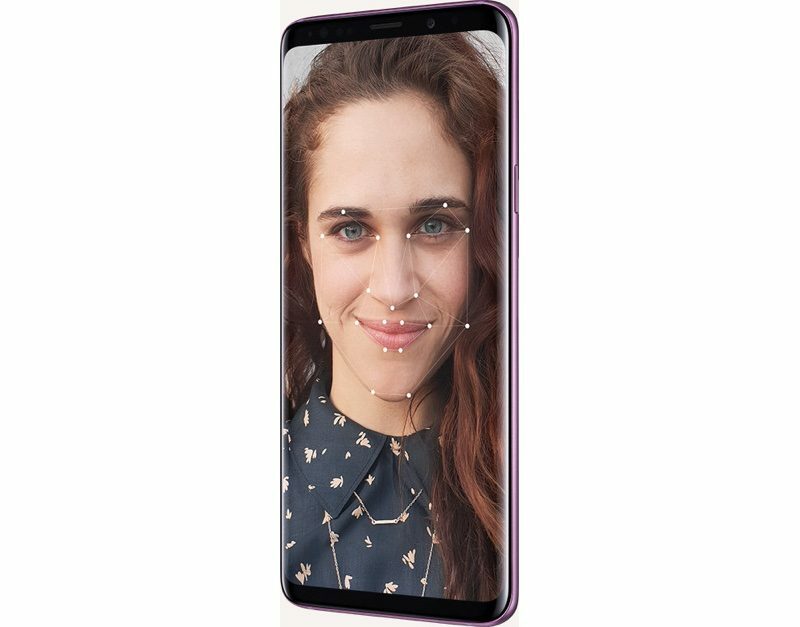 As CNET points out, the Galaxy S9 and the Galaxy S9+ continue to use a 2D facial and iris recognition system that can't compare to the security of Apple's 3D face scanning technology. The Galaxy S8, which used the same 2D feature, was able to be fooled by photos, and while the Galaxy S9 features iris technology that's "been enhanced" to recognize "unique iris patterns from greater distances" and to better withstand spoofing attempts, it's the same general system that was used in the previous-generation devices. 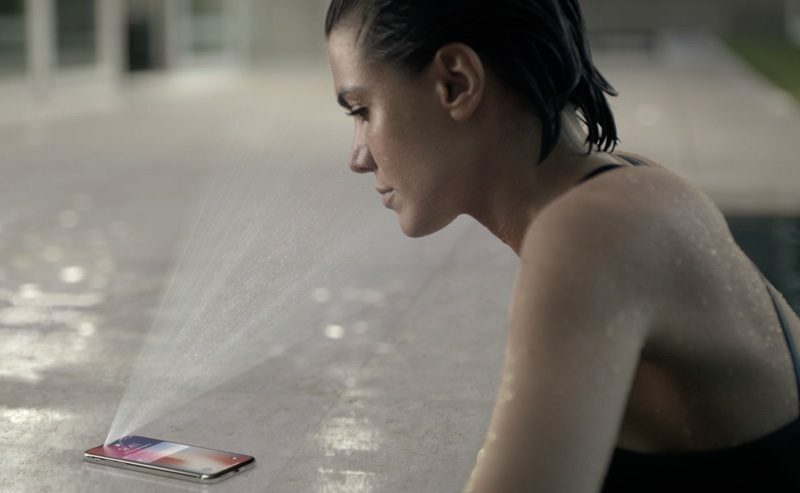 Because Samsung's facial recognition feature isn't as secure as Face ID, the South Korean company continues to pair it with fingerprint recognition, a biometric authentication method Apple is abandoning in favor of Face ID. Apple's Face ID is a 3D system that uses a series of dots to map out a person's face. It can't be fooled by photographs. KGI Securities analyst Ming-Chi Kuo has said that Android smartphone makers are two and a half years behind Apple when it comes to facial recognition techniques, so it could be awhile before Samsung has a similar system that can replace fingerprint scanning.